Around 2010, what had been a health fad exploded on to the human nutrition scene, and the big buzz was gluten free. New products labeled “gluten free” and “grain free” exploded on the human market creating new revenue streams for food producers. It didn't take long for pet food companies to see an opportunity to cash in on profits created from this new trend. Unfortunately, while celiac disease and gluten intolerance are widely recognized in human medicine, there is very poor scientific evidence that these diets provide superior, or necessary benefits for our pets. This entirely new category of pet foods was developed due to market trends, rather than animal nutrition. 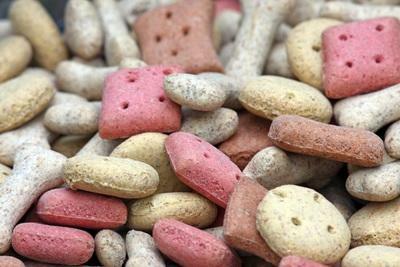 Food allergies in dogs are uncommon, and food allergies to grains are even more rare. Pets with food allergies are generally allergic to the proteins in the diet (traditionally beef, chicken or dairy). True gluten intolerance causing gastrointestinal symptoms has only been confirmed in one family of inbred Irish Setters. Recently it has been discovered that dogs that are being fed grain-free diets, especially those with a higher proportion of peas, legumes and beans have been linked with the development of Dilated Cardiomyopathy in breeds that are not normally associated with this disease. Dilated Cardiomyopathy is a heart disease where the chambers of the heart enlarge, which then stretches and thins the heart muscle which eventually can cause heart failure, abnormal heart rhythms or sudden death. The suspected underlying cause for this is these plant sources of protein are deficient in the amino acid, taurine. The link is considered strong enough that on July 12, 2018 the Food and Drug Administration (FDA) announced it is investigating these diets. When selecting a new food for your pet there are a few things to keep in mind. Smaller, boutique brands with exotic ingredients are not necessarily a healthier or more natural choice, and will be more costly. Larger food companies have better quality control, more stringent nutritional testing and established ingredient sourcing which leads to a more consistent, and proven product.